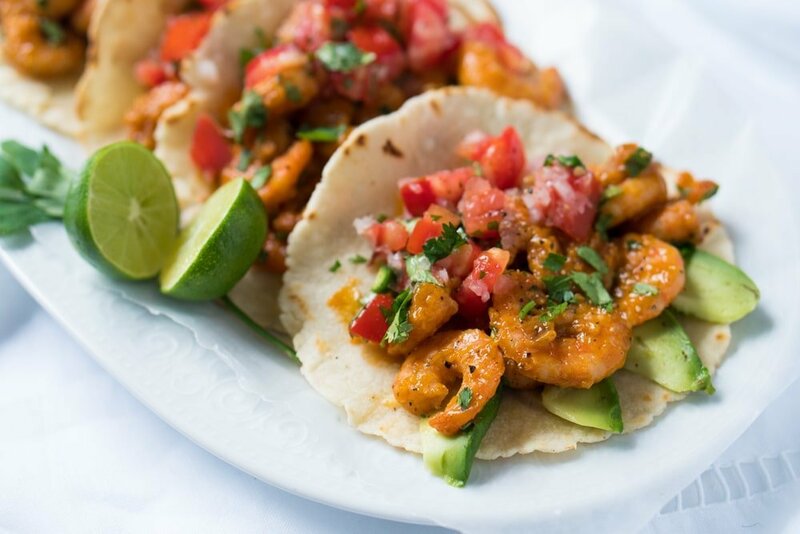 Keto & Gluten Free Real Mexican Shrimp Tacos ? 3g net carbs per taco! If you’ve ever had real Mexican shrimp tacos, you already know you’re in for a treat. And while there are a myriad of ways to go about them, depending on where in Mexico you find yourself, this is my mother’s ultra special recipe. The shrimp are briefly cooked in a chipotle and orange seasoning, one heck of a combo. And are served with avocado and topped with a fresh pico de gallo salsa. Oh, and let’s not forget the tortillas. As while corn are OK for shrimp, flour tortillas are the golden standard. If keto, we cannot recommend enough our 15-minute grain free tortillas (with just 2g net carbs). And if gluten free, go for either the grain free tortillas or our suuuper pliable gluten ‘flour’ tortillas. 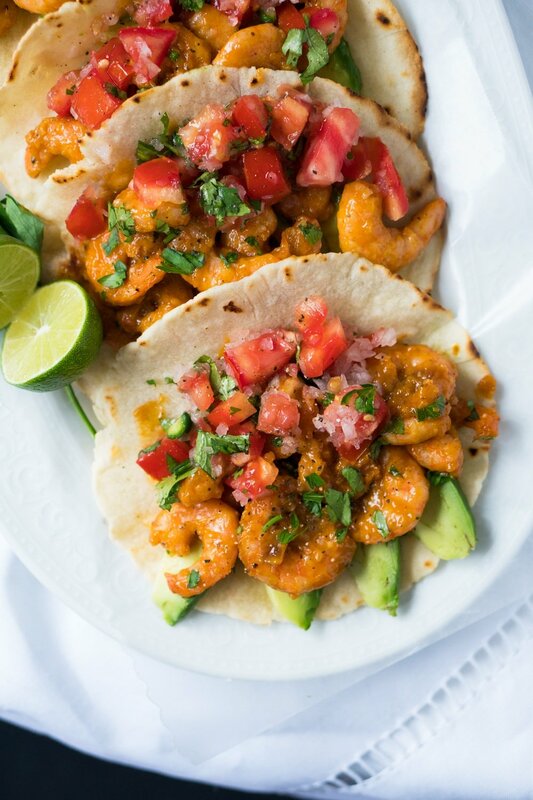 The shrimp are just 1g net carbs per taco serving. i.e. if you go for the tortillas, it’s still just 3g net per taco!. But do note that they’re traditionally made with a touch of honey and cornstarch. So if you’re restricting carbs completely, we suggest you skip them (they are delicious either way). Or you can thicken the sauce with arrowroot! We have and it works just fine, just keep in mind that it cannot be reheated, or the arrowroot will break down. Or go ahead and try our camarones a la diabla (i.e. spicy shrimp). Keto & Gluten Free Real Mexican Shrimp Tacos 🌮 3g net carbs per taco! 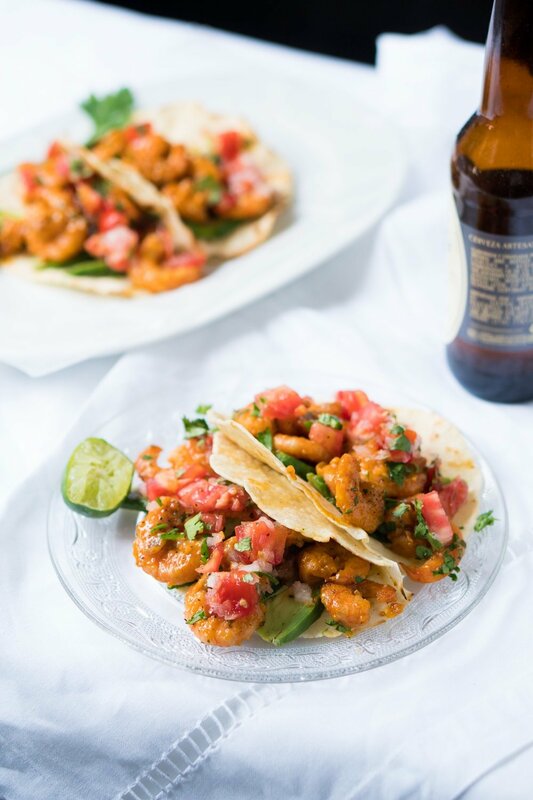 This is my mother's recipe for shrimp tacos, a killer take on this Mexican sea side specialty! Whip them up, and be sure to have them with our gluten free 'flour' tortillas. Mix shrimp with the following 7 ingredients in a bowl. Season to taste with salt and freshly ground black pepper. Cover and refrigerate for at least 1 hour. Heat up a skillet or pan over medium heat. Add a drizzle of olive oil and cook your shrimp for 3 to 4 minutes on each side. Mix cornstarch with water (i.e. a cornstarch slurry) and mix it up with the shrimp. Toss them about, as needed, until thick and creamy. Serve right away with warm tortillas, avocado, pico de gallo and plenty of limes. *If using arrowroot to thicken, make a slurry as you would with cornstarch. But be sure to add at the end of cooking, and heat it up until just thickened. Arrowroot breaks down with very high temperatures, prolonged cooking and reheating. The following nutritional values are calculated with the honey. By skipping it, carbs per 3 taco serving are 1g net. I love Mexican food, but struggle to make it. I want to try this recipe, but I have no idea what “pickled Chipotle” are. Is this the Chipotle in the can with the adobo sauce? If it is, is the three tsp. including chopping up the pepper into small pieces or just the sauce in the can? Thank you so much! 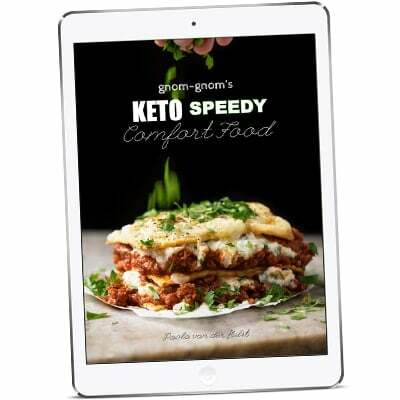 As usual your recipes are awesome and I can’t wait to try this! Hi Ellen! I’m sorry to have missed your comment…! Pickled chipotles are indeed the ones from the can. And it’s just the liquid in the can. I’ll be doing an adaptation of this recipe soon though to include just chipotle powder xo! 2Tbs honey is 42 carbs, 2Tbs of squeezed orange juice is 25 carbs, 12 carbs in avocado, 7 in cornstarchplus the rest. 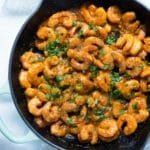 So about 100 carbs for 1 lb of shrimp is keto? Hi Lorna! It looks like you got the quantities REALLY off! 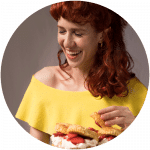 The recipe reads for 2 TEASPOONS honey (and states clearly that those are optional)… etc sub cornstarch for arrowroot (also has carbs, but divided between 12 helpings its minimal impact). As per our calculations you still get 1g net per taco serving.